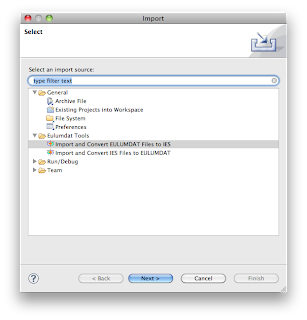 After extensive testing on http://ies2eulumdat.appspot.com/ the conversion of EULUMDAT files to IES files is now also added to EulumdatTools, the Eclipse based workbench for photometric files. 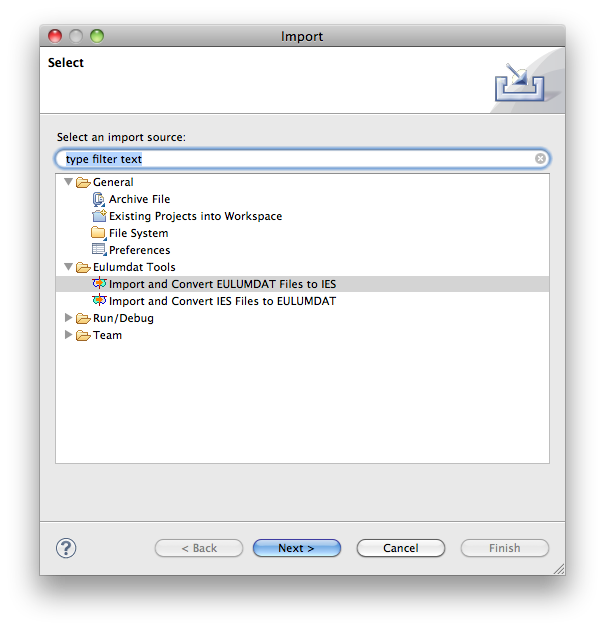 Select a project or folder with EULUMDAT files in the workspace (files you have previously imported) and choose File/Export. You can further select the files individually. After selcting the desitination container in the workspace, youy can press finish. 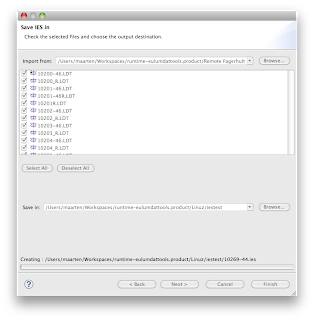 Feedback on conversion progress is shown while the conversion takes place. These are the last feature that will make it into the planned release of version 1.0.0. People who purchase before the relase dat will be able to use the new release with their existing license.